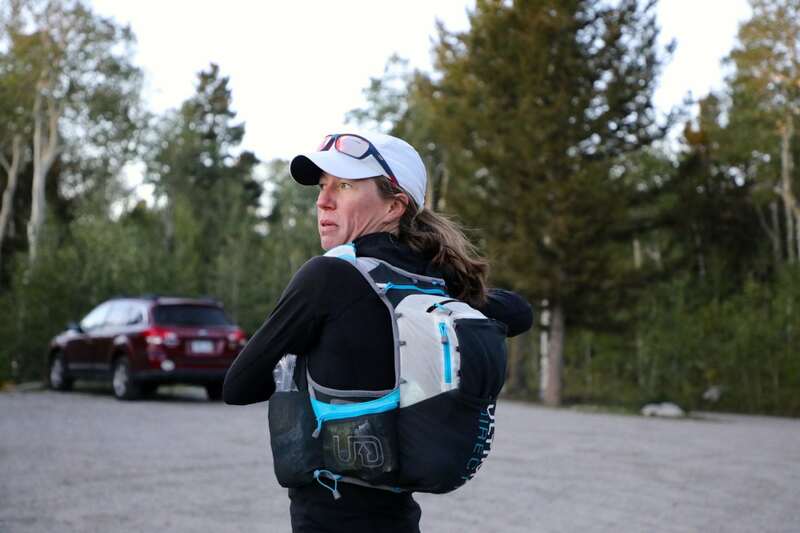 Starting at 7 a.m. MDT on Friday, September 15, iRunFar’s Meghan Hicks will be setting out to take on Nolan’s 14 in Colorado’s Sawatch Range outside the towns of Buena Vista and Leadville. 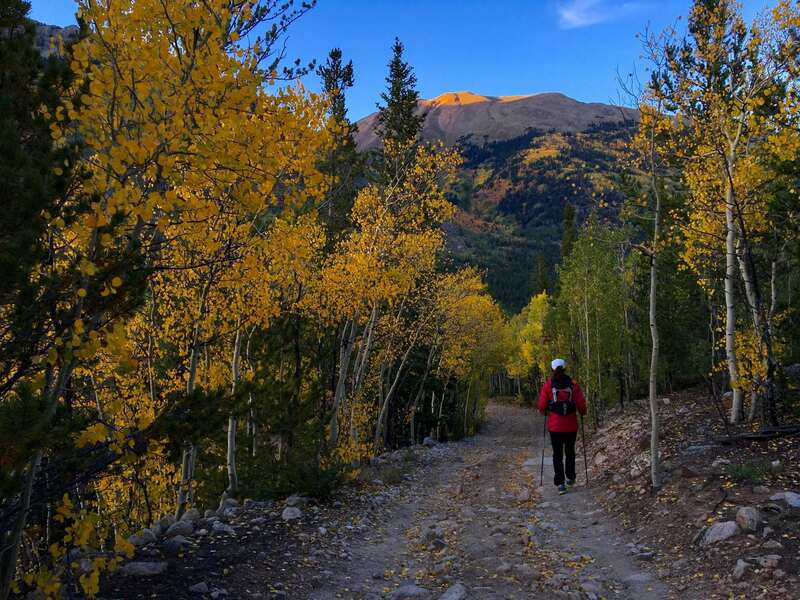 Traditionally, the goal of this project has been to summit 14 14,000-foot mountains starting and finishing at a pair of designated trailheads with the direction of travel and, indeed, the entire route being self-determined. Here’s a brief story of how Nolan’s 14 came to be. 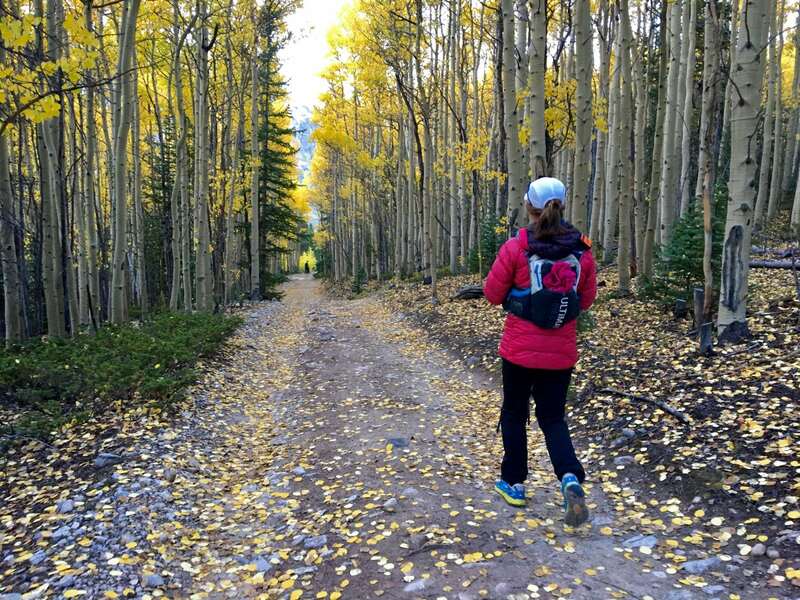 In 2016, Meghan completed the Nolan’s 14 line trailhead to trailhead in 59 hours and 36 minutes. If you’re interested in Meghan’s successful completion of Nolan’s 14 last year, you can check out Meghan’s Nolan’s 14 report, my in-the-moment log of her 2016 attempt, and watch her post-Nolan’s 14 interview. 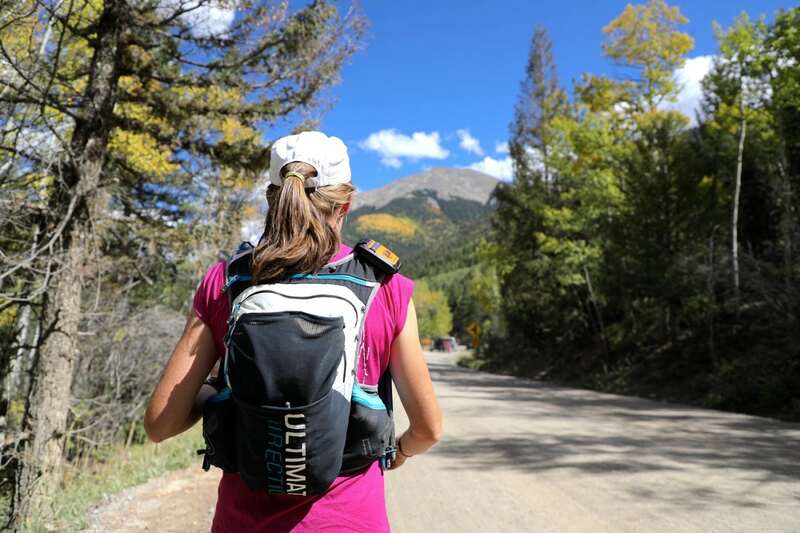 She’s returning to the line again this year, because she wants to explore and enjoy her limits, go faster, and encourage women to chase their own dreams. While cell service is intermittent along the route’s crew-accessible locations, I’ll update this page as I can. I’ll do so in reverse chronological order. You can also jump down to her SPOT tracker map (and here’s the map on SPOT’s website). Ps. 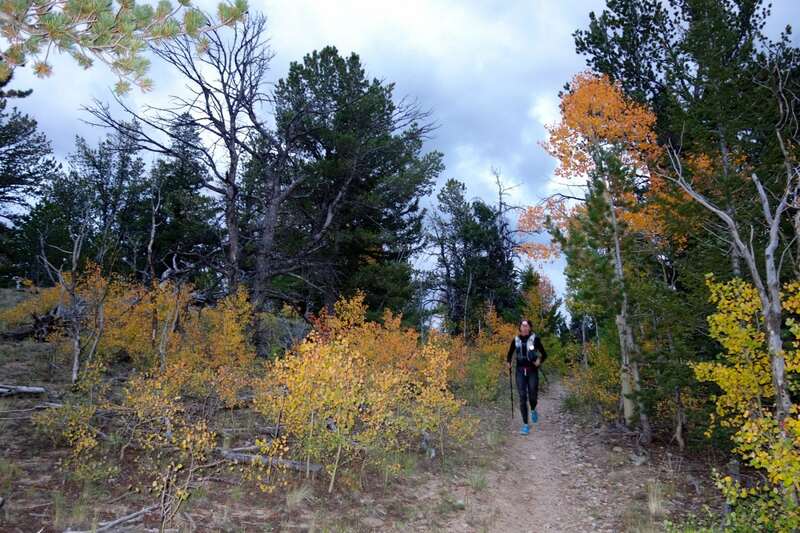 This is a personal project for Meghan and I host it here on iRunFar merely for my own personal convenience. 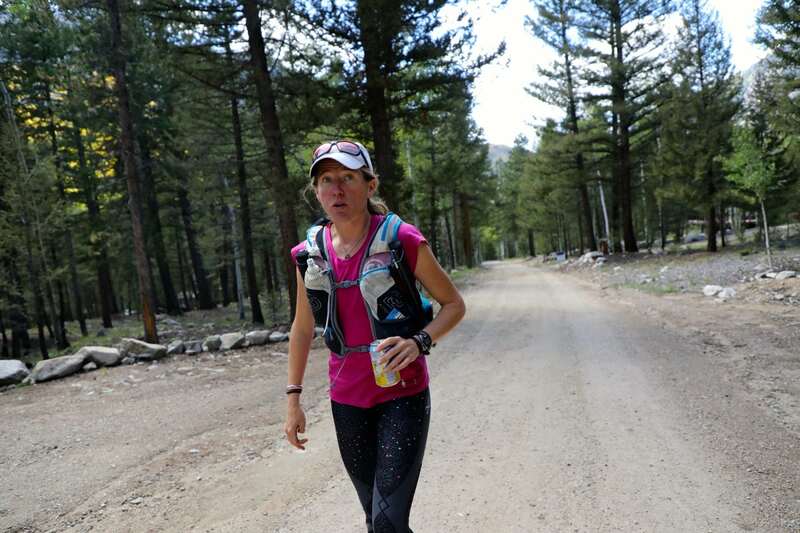 It’s here as a page rather than as article to keep it out of iRunFar’s article feed. Post-Missouri Mountain Crew Update: Saturday, 8 p.m.
That’s a wrap. The weather finally wore Meghan out by her ascent up Missouri Mountain. 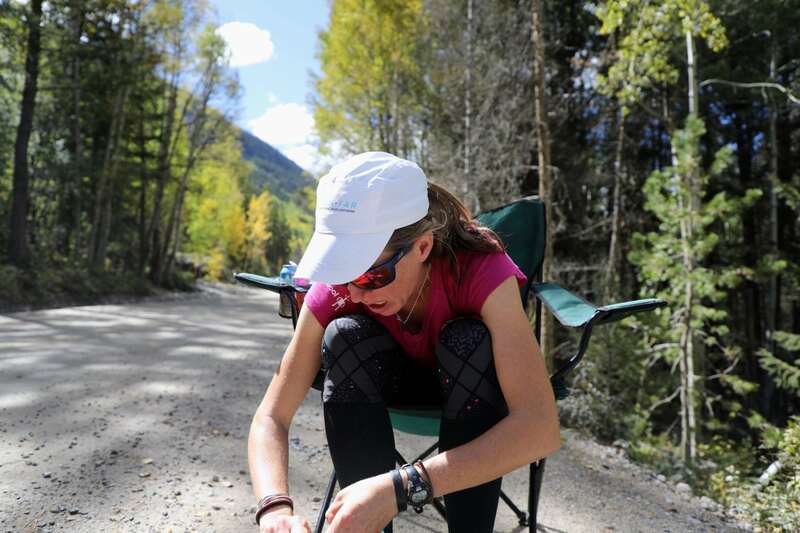 She got there at 5 p.m. and decided there to call it a day (and then some) after 10 summits. She walked out the road from Clohesy Lake to the Cresent Mining Camp at 7 p.m. She’s well and gave it her best. No regrets. Mount Belford Remote Update: Saturday, 12:50 p.m. It looks like Meghan summited Mount Belford (Summit 9) right around 12:50 p.m. (29:50 elapsed), give or take a minute. That 50 minutes between Oxford and Belford is right in line with her time from last year and what she expected for this year. 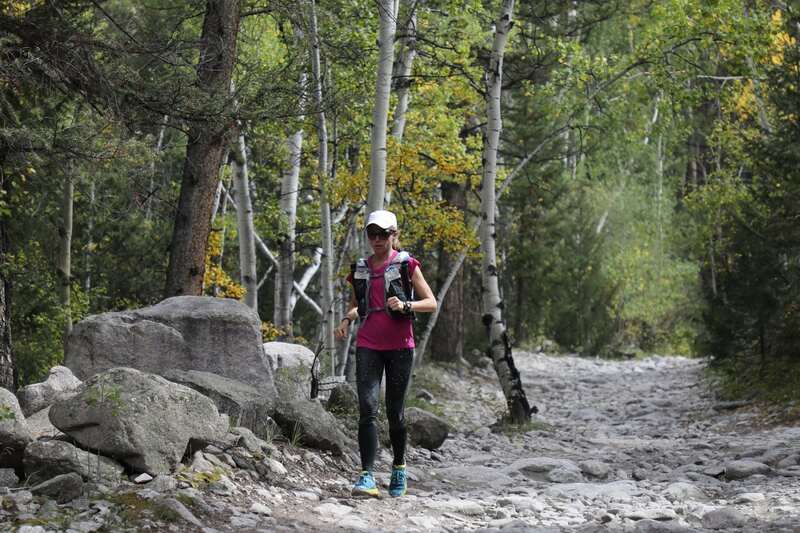 At the moment, she’s half an hour two hours and forty minutes ahead of last year’s pace. She should see her crew for the first time in 11+ hours in about 15 minutes at Elkhead Pass. Mount Oxford Remote Update: Saturday, 12 p.m. It looks like Meghan summited Mount Oxford (Summit 8) just after noon (~12:02 p.m./29:02 elapsed) and has made the turn toward the summit of Mount Belford (Summit 9). She’ll see her crew at Elkhead Pass midway Belford and Missouri Mountain (Summit 10). It’s a beautiful day here in Buena Vista … but it’s still likely quite cold and windy up in the alpine zone. Mounts Columbia & Harvard Remote Update: Saturday, 10 a.m.
Around 8:30 a.m., Meghan let a friend know that she was descending a cold and slick Harvard with Nick. 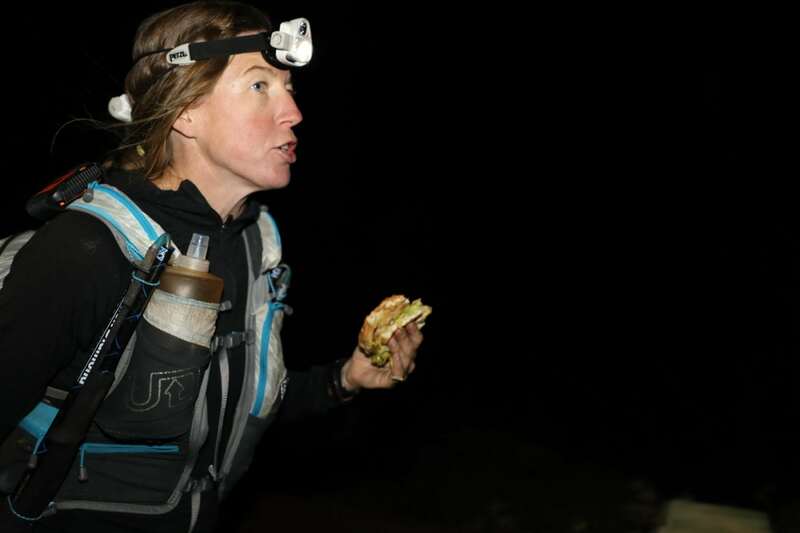 She’s had all her clothes on and was eating, but it’s darn tough going out there with the thousands of feet of slick descent being rough. From the warmth of a coffee shop, it sounds like it was a pretty miserable night out there. 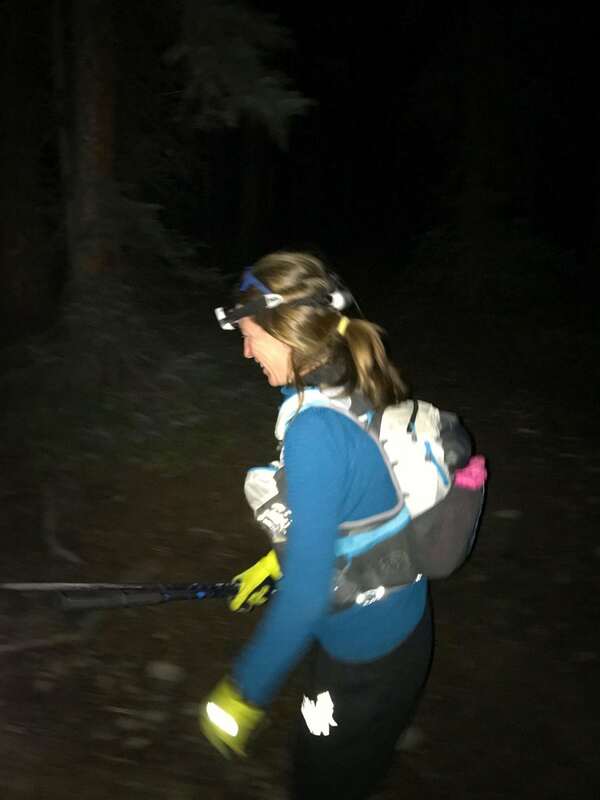 Post-Mount Yale Crew Update: Saturday, 9:30 a.m.
Meghan’s crew out at North Cottonwood after Mount Yale reports that she came in around 1:50 a.m. (around 18:50 elapsed) and left 20 minutes later. They report that she was looking very strong and that she reports it having snowed and been a little slick on Yale. She wan’t psyched about the snow or the wind. The crew also passed along that they saw Nick Pedatella (also going for Nolan’s 14 at the moment) and that he reported high winds on Yale. Meghan’s pacer over Yale, Tom Caughlan, said she was super fast on the descent and was moving so well. He declined to go part way up Columbia with her as he didn’t want to slow her down. Meghan said she was doing fine and would be fine on her own. 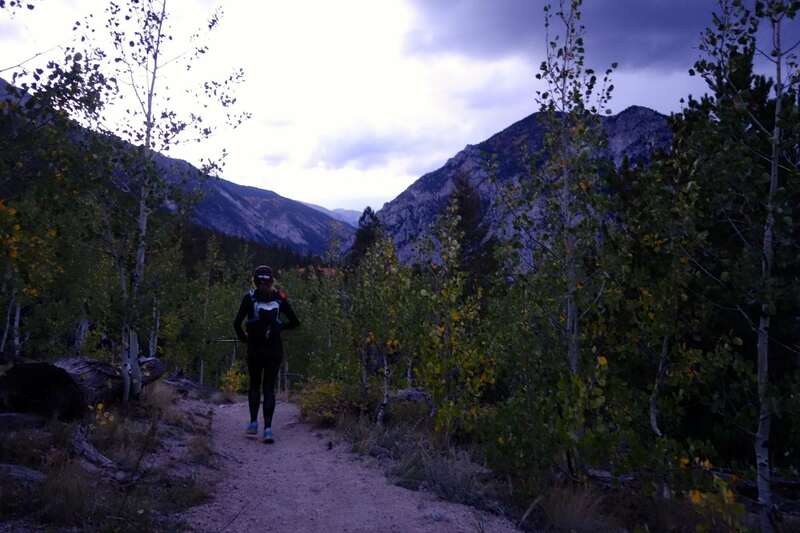 Post-Mount Princeton Crew Update: Friday, 9:30 p.m.
Meghan went through the junction of the Colorado Trail and CR 344 between Mounts Princeton and Yale at 12:56 elapsed. She did take a hard fall coming off Princeton, snapping her trekking pole in not one, but two spots as she landed on it. One side of her ribcage took the brunt of the impact with the trekking pole. She’s “fine,” but it’s causing some pretty strong pain along the way. I joined her from the final 2.5 miles off Princeton into the crew point and she was in generally good spirits and hungry. We solved that last bit with most of a cheeseburger, some fries, and a large Coke. She picked up her first pacer, Tom Caughlan, on her way out to climb Yale. No more updates tonight. She’ll see some of her crew 6-7 hours after coming through this point. I hope to provide an update in the morning based on the info they provide. For now, I’m resting up for tomorrow’s overnight pacing duties. 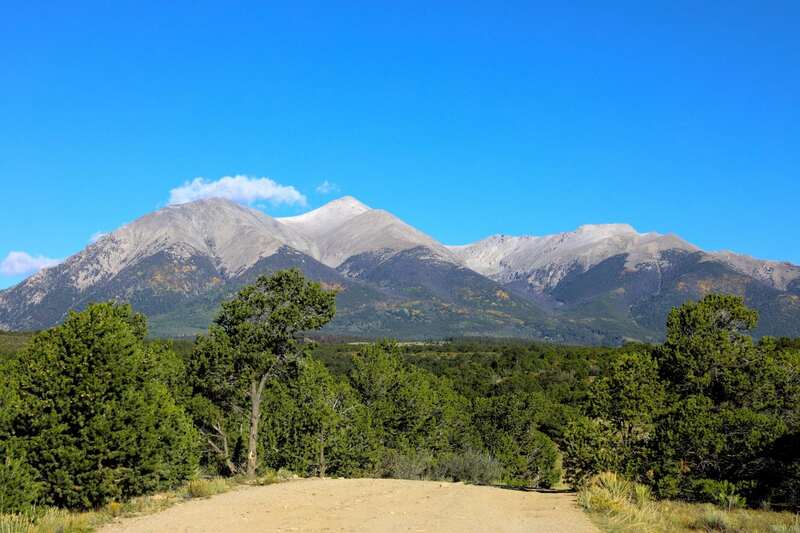 Post-Mount Antero Crew Update: Friday, 4 p.m. 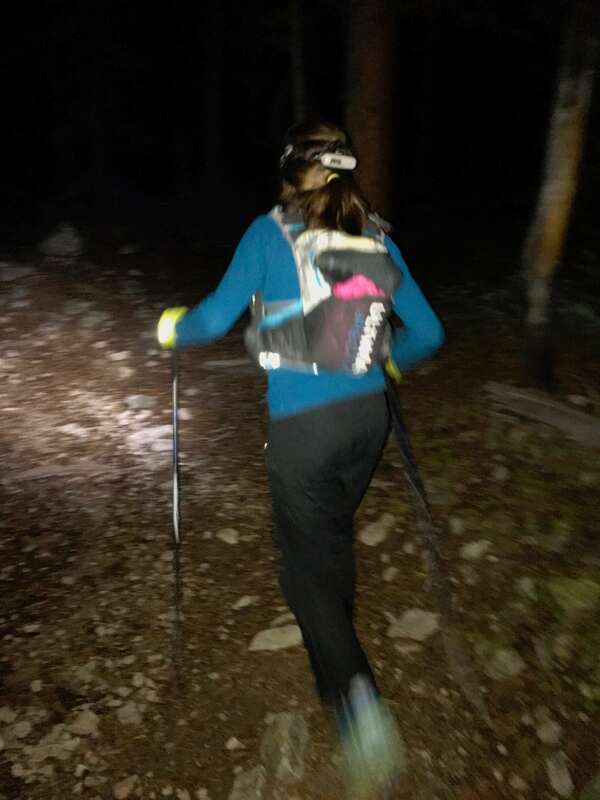 Saw Meghan for the first time during this attempt at the bottom of Baldwin Gulch between Mounts Antero and Princeton (Summits 3 & 4). She came in at 7:15 elapsed (2:15 p.m.) and spent 5-6 minutes at our crew point. She was in great spirits, moving well, and chatting as I walked out through the hamlet of Alpine with her. 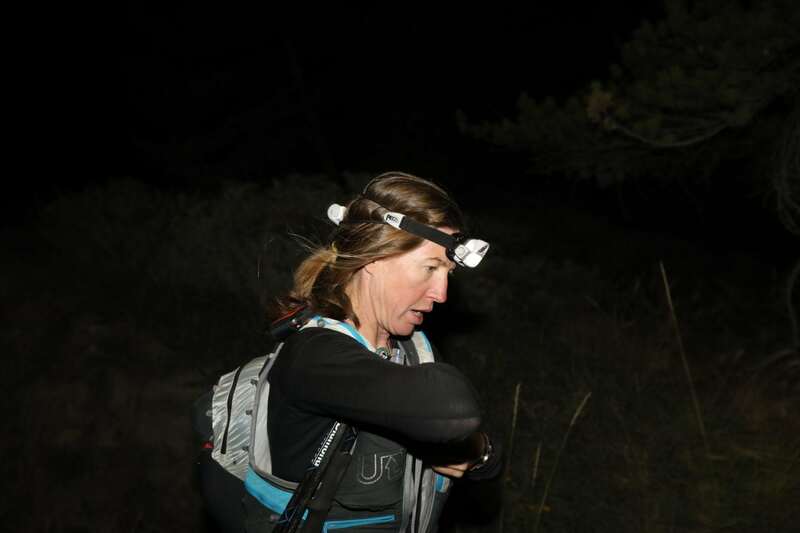 She said it was REALLY windy heading up Mount Shavano in the morning and that she was crouched over on the ridge traverse between the summits of Shavano and Tabeguache. She’s been pretty cold for much of her attempt so far. The upside is that she’s eating really well. Like, she ate everything she carried out on that first section. 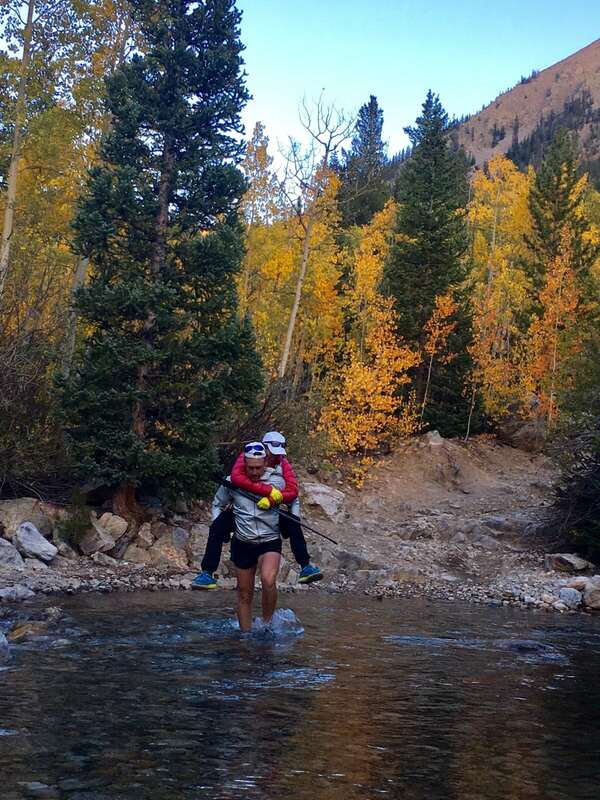 She did say her feet turned into useless pegs after crossing a stream before heading up Antero. I’ll see her next between Mounts Princeton and Yale (Summit 5) this evening. I doubt I’ll publish an update unless I manage to find cell signal up there. 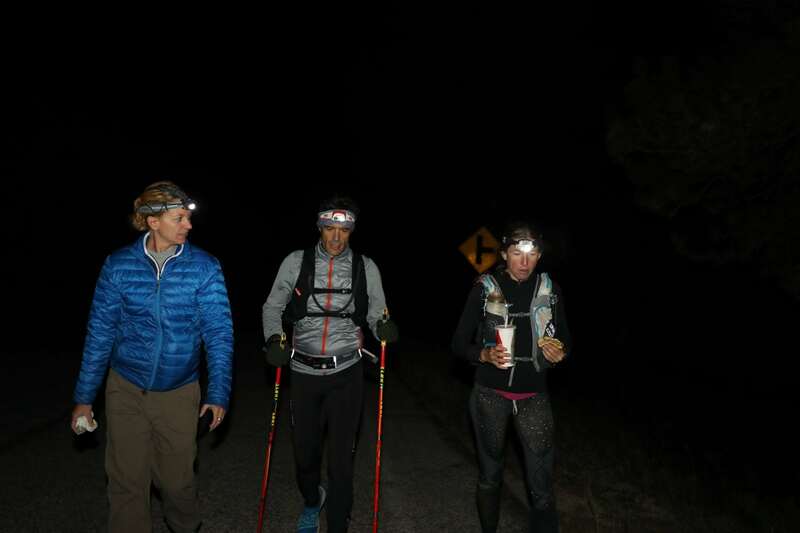 Post-Tabeguache Summit Remote Update: Friday, 10:30 a.m. I can exhale a bit. I’d received a couple calls from Meghan about the intense winds high up on Shavano (Summit 1) and likely on the ridge to Tabeguache (Summit 2). This could have ended her attempt off the bat. 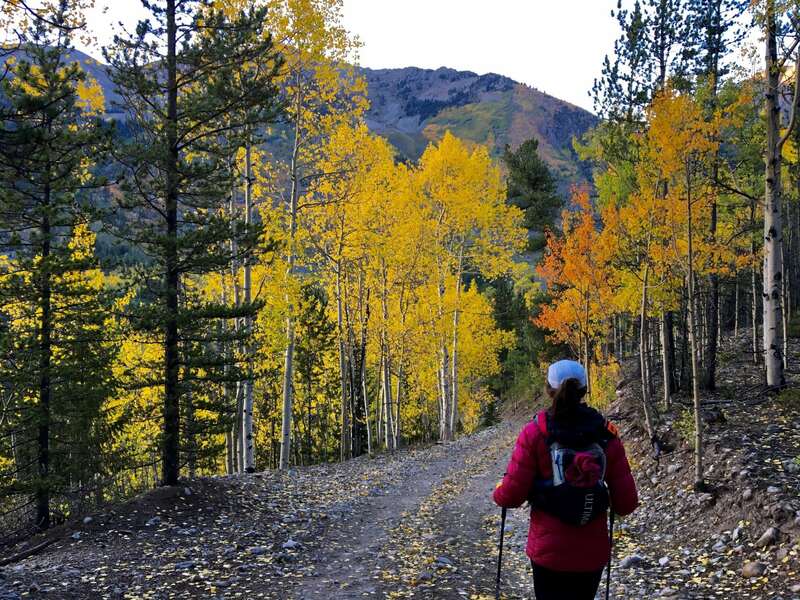 However, she’s made it past the Tabeguache summit and is headed in the direction of Mount Antero (Summit 3). I’ll see her next between Antero and Princeton (Summit 4). Onwards and upwards! The Start: Friday, 7 a.m.
Meghan started from the Blanks Cabin Trailhead below Mount Shavano right at 7 a.m. Fresh snow fell overnight down to 13,000′ or a bit below. It was cool and gusty when she got underway. While driving away, it became apparent that there are fierce winds above treeline with the few clouds absolutely flying past the summit. I’ve embedded two tracking platforms. I like the 50-previous-points track on the SPOT map, while I think TrackLeaders has a nicer map and like that it displays a general Nolan’s 14 route. You can hide the sidebar on each of the embedded maps. Wish this was on Trackleaders.com! But I will take the spot tracker website, Thanks! You amaze me! Keep up the great job. Wow! Looks like Meghan is over an hour ahead of her 2016 time at summit of Princeton?! Watching and cheering from Vermont. Meghan I am inspired already! Woo hoo Meghan! Keep on truckin’!! So proud of you on your attempt in such poor conditions. So Fantastic! Keep going Meghan! Following your journey with my daughter here in Boston! Just caught up on your second attempt Meghan. Great effort! Can’t wait to hear about/ follow your next adventure!